4MG Solutions offers marketing, event management and fundraising support for small businesses and not for profit organisations charities. To find out how 4MG Solutions may be able to help you please call 07727 257262 or email ingrid@4mgsolutions.co.uk for a free one to one consultation. 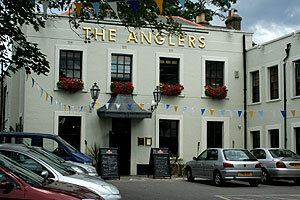 Promoting events and organising events at The Anglers, Teddington including Fireworks Night and Christmas activities plus preparation of a comprehensive marketing and event plan for 2014. Preparation of press releases and other marketing collateral for a crowdfunding launch including twitter messaging. Also assisted in the smooth running of the launch event. Marketing & PR for Securidox, the online document delivery company. Writing regular press releases to promote the business and its activities, attending networking events & exhibitions, copy writing for the web and research. Marketing plan for Growth Learning, personal and professional development coaching. Step by step marketing plan to grow the business with achievable aims and actions, recommendations and suggestions. Teddington School Solar Power Project 'SolarTedd', raising £50,000 for a 50kW solar roof. Working with students, staff, parents and the wider community on a voluntary basis to raise awareness and funds through a variety of activities inside and outside the school gates. Project achievements to date include: branding, display stand for outside events, launch day activities, student engagement, calendar of student & community fundraising events. Visit www.teddingtonschool.org/solar-project for more information or to make a donation. 21&Co, the registered charity for children with Downs syndrome and their families. Facilitated a Trustee Away Day to set objectives and strategies for the year ahead. Organised a 10km walk with friends to raise funds for 21&Co and a 2.1km walk for members and their friends and family as part of 21&Co's Awareness Week. A step by step plan to establish the business, raise its profile and communicate its aims and objectives through social media and other marketing tools. Voluntarily delivered a comprehensive website review and a communication strategy to assist ArtsRichmond, the Richmond upon Thames Arts Council, improve delivery of services, broaden stakeholder engagement and improve overall communication with all stakeholders. Developed a strategy to increased delivery of kick boxing and self defence courses across a number of new venues and produced marketing materials for those courses.